FairLifts arranges a variety of helicopter solutions for companies and individuals in Denver, CO. Select from a comprehensive catalogue of services, including heavy lift helicopters, aerial cranes, pipeline inspections, or executive charters. Our expert agents will ensure your business and personal needs are met. A global leader in professional arrangement of helicopter lift services, operators we work with offer affordable and timely solutions to your helicopter lift demands. We also provide personalized executive services, such as business charters, game day shuttles, and private tours. Your personal helicopter charter concierge will walk you through the reservation process to outline all the details or your helicopter lift project and ensure that it goes off without a hitch. As a major metropolitan city in a mountainous area, Denver has many challenges that normal construction cranes simply cannot tackle. If you have a contract that has special requirements for lifting construction materials, HVACs and adapter curves, signs, and other hard to handle payloads, call FairLifts and let our experts help you with the logistics. WHY PURSUE HELICOPTER SERVICES IN DENVER? The former mining town of Denver is synonymous with so many things. Situated close to the staggeringly beautiful Rocky Mountains, it is the gateway to at least six ski resorts located relatively nearby, the Broncos and the High Plains region. The amount of snowfall seen in the mountainous regions of Colorado has led to an innovative use of helicopter services. Anyone who has ever driven through the state knows that on the roadways up to the summits are covered in numerous signs warning of falling rocks. These episodes are made imminent when people attempt to cross a mountain pass and in light of snowstorms, the Colorado Department of Transportation took matters into their own hands. To avoid avalanche disasters, they used helicopters to drop tiny explosives in efforts to create a small avalanche so that in the event that a subsequent snowstorm arise, these mountain passes will not be in the same amount of imminent danger. This is just one way in which helicopters can be utilized in Denver and its neighboring communities. Others may be in the pursuit of rescue; helicopters may be organized to execute SARs and to observe mountain passes to look for potential hazards. If a skier were injured, and emergency response helicopter may be organized to hoist and transport the injured party to local hospitals. In addition, helicopters may similarly be used in the construction of new developments featuring resorts. Even if the city's capitol building needs repairs to be made to its 24-karat gold dome or marble facade, a helicopter may be put to good use. 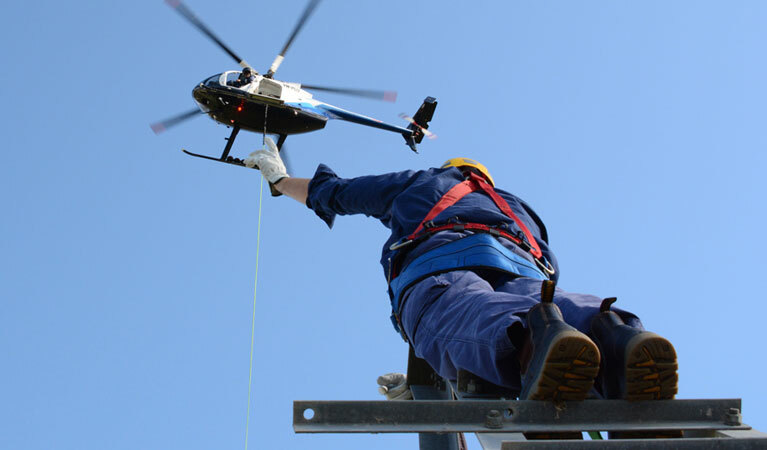 FairLifts works with a professional affiliate network that can provide first-class helicopter service for a variety of activities, including construction, heavy lifting, freight and cargo transport, emergency medical services, custom charters, and agricultural projects. Local helicopter pilots can provide a variety of construction solutions, such as heavy lifting, air crane services, aerial oil and gas assistance, and a host of other construction related services, such as freight and cargo transport to and from a construction site. Whether it’s lifting a welder or a replacement part or machine to the top of a high installation, heavy lift helicopters are essential for many construction operations. From lifting outsized HVAC equipment or construction materials to placing girders or large stone structures, helicopter lifts provide invaluable assistance for large scale construction projects. Heavy lift helicopters provide indispensable solutions for businesses in need of air crane support in hard to reach areas. Heavy lift helicopters are an affordable and efficient alternative to cumbersome and expensive ground cranes. 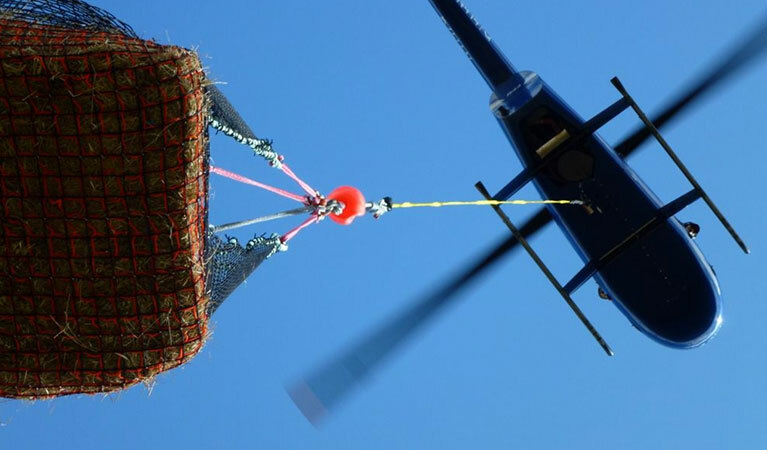 To transport oversized items in areas with limited access, heavy lift helicopters are not only a smart solution but also a time-saving option that can get your project up and running in no time. FairLifts facilitates fast and discreet organization of transport services for sensitive materials and fragile freights. To ensure the safety and confidentiality of your documentation, affiliated helicopter transport operators guarantee professional and absolutely secure service so that your materials arrive safely, soundly and on time to their destination. FairLifts has helicopters ready to reposition for search and rescue missions in the Rocky Mountains including Rocky Mountain National Park, Arches National Park, and Yellowstone. By providing fast and safe transport to area hospitals, like Saint Joseph Hospital and Denver Health, FairLifts' network of emergency helicopter operators guarantees you are afforded immediate care when you need it most. 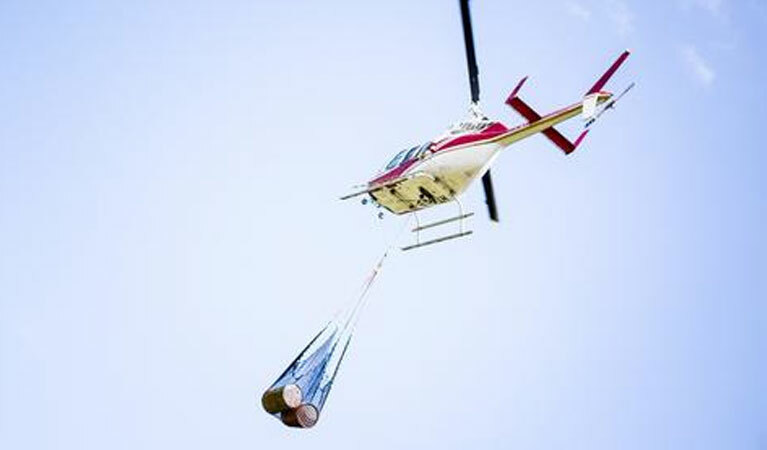 A typical logging helicopter carries an approximately 200-foot cable or long-line, which is attached by a hook to the belly of the helicopter. A helicopter used in logging operations may complete up to 250 or 300 load/lift cycles, or "turns," each day; each turn takes one to three minutes to complete. 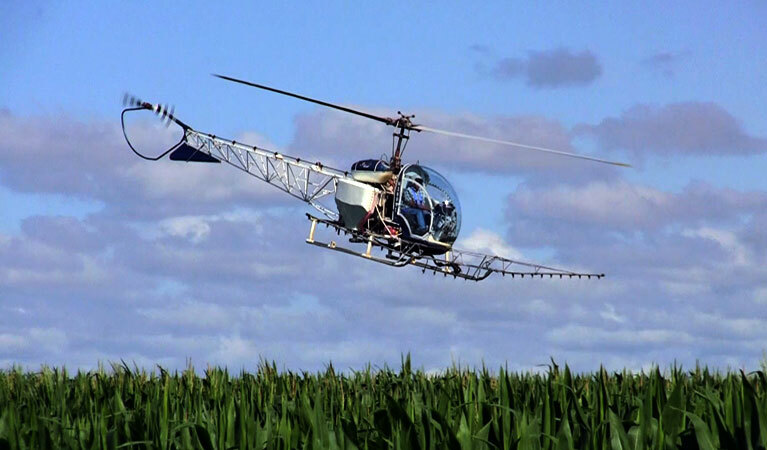 The range of agricultural services that a helicopter can offer provide effective and minimally invasive solutions to farming companies, such as yield management, crop health maintenance, hydroseeding, crop dusting, overwatering management and frost protection. If you are ready to start the reservation process or just need some more information specific to a particular service, reach out and contact FairLifts through our customer support.